Just a few hours left to enter the January competition: 3 copies of A K Shevchenko's Bequest are up for grabs. There are no geographical restrictions. Details of how to enter can be found here. and Michelle Peckham reviews the reissue of Manda Scott's The Crystal Skull, now prefixed with 2012 (nb. the film 2012 is not based on it) and is the third euro crime reviewer to enjoy the book very much. 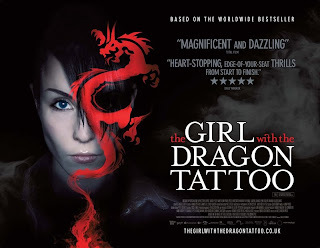 You can see the English language trailer for The Girl With the Dragon Tattoo film due to be released 12 March at the end of the current edition of Film 2010. It's 28 minutes in but this link should take you straight there. Or with an annoying voice-over at the beginning, it can also be found on the Yahoo! Movies site. 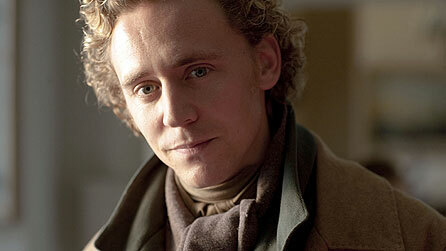 and I've been tasked with organising an author visit. Recently we had a visit from Judith Cutler and Edward Marston and other guests have included Maureen Carter and R J Ellory. Before the author visit we reserve as much of their library stock as is allowable and have the books on the display, thus ensuring lots of issues (and associated public lending rights revenue). So if any author reading this would like to get some extra publicity and meet some of their fans, please contact me. I'm looking to get someone for March, on a Wednesday am or pm or a Tuesday or Thursday evening ie after 7pm. Doesn't have to be a crime author either so if you know someone who'd be interested, please pass my plea on! 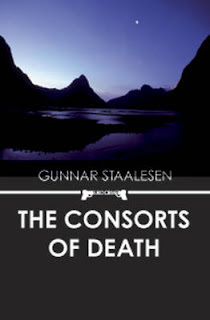 I'm currently reading The Consorts of Death by Gunnar Staalesen, tr. Don Bartlett. Maxine has already reviewed it for Euro Crime, here. She introduced herself as Randi Borge and burst into floods of tears when I explained the purpose of my visit. 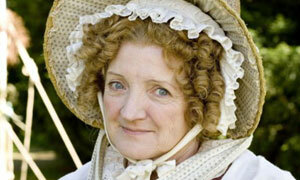 Age-wise, I would have put her at about forty. She had groomed dark blonde hair and was wearing a tight-fitting black dress that, from where I was standing, on my side of her reception desk, put me in far from a funereal mood. January competition reminder: 3 copies of A K Shevchenko's Bequest are up for grabs. There are no geographical restrictions. Details of how to enter can be found here. and Terry Halligan reviews the re-release of Terence Strong's Stalking Horse set during the first Gulf War. Radio 4 has a 60 minute play of Raven Black by Ann Cleeves on Saturday 23 January at 2.30pm. It should also be available via "listen again" for a further 7 days. Raven Black is the CWA Dagger Award-winning first part of the Shetland Quartet which has been followed by White Nights, Red Bones and the soon to be published Blue Lightning. Ann Cleeves's Euro Crime page is here with links to reviews of the books mentioned above and Raven Black is reviewed on Euro Crime here and here and my review of the audio book of Raven Black for Mystery Women is here. TEARS OF PEARL and upcoming DANGEROUS TO KNOW author Tasha Alexander's next two novels, featuring Lady Emily Hargreaves and her husband Colin, whose adventures take them to glamorous and exotic locales in the service of Queen Victoria's government, to Minotaur. The Girl Who Played With Fire on September 10 and The Girl Who Kicked The Hornets' Nest on November 5. I got a chance to see the UK premiere in August (my review is here) and I plan to see it again when it's on general release. I'm currently reading Badfellas by Tonino Benacquista, tr. Emily Read which is shaping up to be another Bitter Lemon Press gem. Blurb: "The story is violent, pacy and full of black humour. Imagine the Soprano family arriving in France, or perhaps better, Ray Liotta, the snitch from ‘Goodfellas’ settling down with his family in a small town in Normandy." They took possession of the house in the middle of the night. Any other family would have seen it as a new start. The first morning of a new life – a new life in a new town. A rare moment that shouldn’t take place in the dark. For the Blakes, however, it was a moonlight flit in reverse: they were moving in as discreetly as possible. Maggie, the mother, went in first, tapping her heels on the steps to scare away any lurking rats. She went through all the rooms, ending up in the cellar, which appeared to be clean and to have the perfect level of humidity for maturing wheels of Parmesan, or storing cases of Chianti. The father, Frederick, who had never felt at ease around rodents, allowed his wife to go ahead. Without realizing it, Fred was proving a universal truth, which goes like this: as soon as one idiot tries to light a fire somewhere, four others will gather round to tell him how to do it. and Maxine Clarke reviews the second in Nigel McCrery's DCI Mark Lapslie series, Tooth and Claw. An elderly bird-watcher falls to his death in a meticulously-planned and brutal murder. 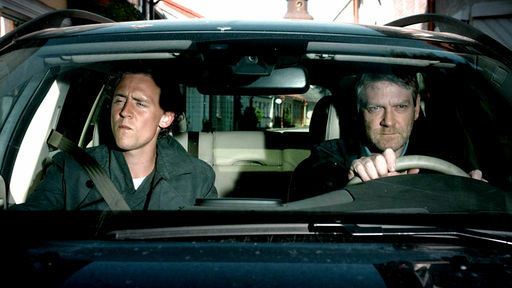 In an apparently unconnected case, a local man disappears and Wallander gets too close to one of the suspects. 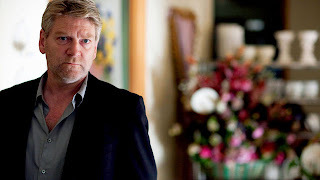 Wallander believes he is on the trail of a serial killer bent on revenge. My review of the audio book is here. Twelve acquired North American rights to the debut novel The Sherlockian by Graham Moore. Jennifer Joel at ICM brokered the deal for Moore, a recent Columbia grad she described as an obsessive mystery fan since reading Agatha Christie in second grade. The book, which is slated for December 2010, follows two parallel mysteries: the first, set in the present, follows a Sherlock Holmes devotée and a literary researcher investigating the death of a Holmes scholar about to reveal secrets from Arthur Conan Doyle’s long-lost diary. The second mystery, set at the turn of the last century, follows Conan Doyle, who, with his author-buddy Bram Stoker, is hunting a serial killer. Deals for the book have also closed in Canada, Italy, and the U.K. 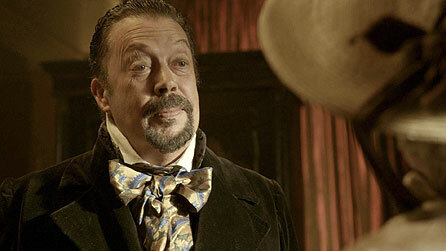 The Red Dahlia can be watched on the official ITV programme website. And My See-Through Heart - crime fiction? Do we ever really know the person we live with? This is a question that has tormented Lancelot since the sudden death of his wife. The night of the accident, they had said goodbye at the airport and Irina should have been in another country when she was found drowned, in someone else's car, at the bottom of the local river. Lancelot is still numb from the shock when other facts begin to surface, each one more bewildering than the last. It seems that the woman he loved had a past - and a plan for the future - that he never even suspected. The only review on amazon gives it 1 star. You can read a sample of the book at amazon here. There's a brand new competition for January and it has none of those pesky geographical restrictions. Three copies of A K Shevchenko's Bequest (reviewed below) are up for grabs. Details of how to enter can be found here. Last week I summarised the Euro Crime reviewers' favourite reads of 2009. 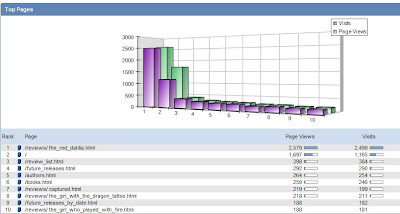 The break-down by reviewer with their additional comments is now on the website. Laura Root reviews this month's competition prize: Bequest by A K Shevchenko writing that it is "an intriguing and enjoyable novel"
and Michelle Peckham reviews the long awaited Truth by Australian author, the CWA Award Winning, Peter Temple. Transworld have bought eight of Marklund's books to publish twice a year with plans to replicate her pan-European popularity. * Why Shoot a Butler? Georgette Heyer wrote 12 crime novels, the two missing from the above set are: Penhallow and Envious Casca. The breakdown by reviewer plus any additional comments they have made, will be uploaded to the website soon. We've not escaped a significant snowfall this time, with several inches falling yesterday. Foxy's up to his belly this time (ankles before) but is loving chasing snow. I've kept him in so the birds can feed (rather than vice-versa). I've just finished reading Ice Cold by Andrea Maria Schenkel and my current YA read is Shiver by Maggie Stiefvater! I've been reading crime fiction for several decades now and in 2009 I felt in need of a recharge so I didn't keep up with all the latest and greatest crime releases last year; I read some non-crime, some non-fiction and of course some teenage fiction for my other blog. I think it has helped and I now feel re-enthusiastic about my crime! and Amanda Gillies loved Patrick Woodrow's thriller First Contact. 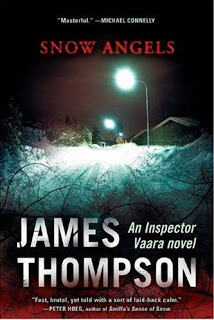 Very few Finnish crime authors have been translated into English. The most famous perhaps being Matti Joensuu. German author Jan Costin Wagner spends half the year in Finland and his haunting Finland set Ice Moon was translated into English in 2006. News comes via Mystery Book News of a novel written by an American author who has been living in Finland for ten years. This is the first in a new series by Simon Brett and features aristocratic brother and sister team, Blotto and Twinks. Blotto is handsome and not terribly bright but a good sport (especially at cricket) and Twinks is beautiful with a knowledge to rival Sherlock Holmes. 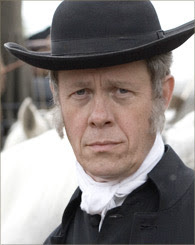 "I will summon the estimable Chief Inspector Trumbull. I like to do these things honourably - level playing field and all that. I must allow the police to have a fair wallop at the investigation ... before I run circles round them and tell them who really committed the murder." Along the way they discover a plot to kidnap ex-princess Ethelinde by the usurping King Vlatislav which they are unable to foil and so the action moves to Mitteleuropia and Blotto, his chauffeur and a translator "Klaus" are sent to rescue the ex-princess. 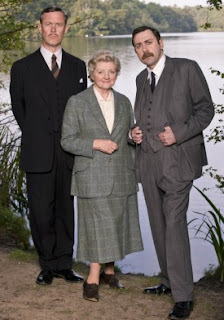 Blotto, Twinks and the Ex-King's Daughter and reads as if Agatha Christie collaborated with P G Wodehouse. It's absolutely delightful and very, very funny. The plot is a romp and Blotto and Twinks make a fun pair of sleuths. The language Blotto in particular uses may leave you saying "broken biscuits" and "me old gumdrop" for some time after. Simon Brett's narration adds another level of enjoyment as I feel you get to hear what the author intended you to hear when the author themselves does the narration and Simon Brett is very good at it indeed. The sequel, Blotto, Twinks and the Dead Dowager Duchess, is due out in July. 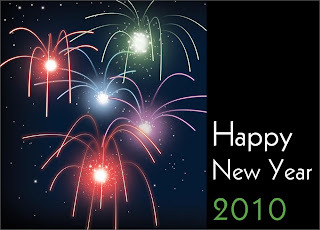 I'd just like to say thank you to all my blog visitors for their support over 2009 and hope you'll continue to visit and comment in 2010. I also want to thank the euro crime review team for taking the time to write thoughtful reviews and in particular I'd like to thank Maxine (Petrona) for her tireless promotion of the euro crime website and her initiation of the essential reading that is the Friendfeed crime and mystery fiction room.